For other ships with the same name, see HMS Discovery. After returning to the Nore in 1780, Discovery was fitted out as a transport at Woolwich Dockyard, serving as such between December 1780 and May 1781. She then became a dockyard craft at Woolwich, and was broken up at Chatham Dockyard in October 1797. Rif Winfield, British Warships in the Age of Sail, 1714-1792 (Seaforth Publishing, 2007). Beaglehole, J.C.: The Life of Captain James Cook. ISBN 0-8047-0848-7. HMS Rattler was a 9-gun wooden sloop of the Royal Navy and the first British warship to adopt a screw propeller powered by a steam engine. She was arguably the first such warship in the world—the sloop USS Princeton was launched after the Rattler, but was placed in commission much sooner. HMS Hannibal was originally planned as a 90-gun second rate ship of the line, to be built at Woolwich Dockyard. She was ordered on 14 May 1840, but cancelled and re-ordered. This ship was also named HMS Hannibal, and utilised the new screw propulsion technology. She was a 91-gun second rate, built at Deptford Dockyard by Charles Willcox, Master Shipwright, and launched on 31 January 1854. She served in the Crimean War, commanded by John Charles Dalrymple Hay. HMS Northumberland was a 70-gun third-rate ship of the line of the Royal Navy, built at Deptford Dockyard and launched in 1705. HMS Cambridge was an 80-gun third-rate ship of the line of the Royal Navy, built at Deptford Dockyard to the draught specified by the 1745 Establishment as amended in 1750, and launched on 21 October 1755. HMS Valorous was a 16-gun, steam-powered paddle frigate of the Royal Navy built at Pembroke Dockyard and launched on 30 April 1851. HMS Fisgard was a 46-gun fifth rate Leda-class frigate of the Royal Navy. She spent sixty years in service on a variety of duties. HMS Blossom was an 18-gun Cormorant-class sloop-of-war. 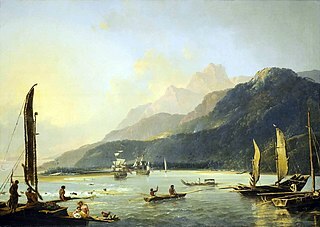 She was built in 1806 and is best known for the 1825–1828 expedition under Captain Beechey to the Pacific Ocean. She explored as far north as Point Barrow, Alaska, the furthest point into the Arctic any non-Inuit had been at the time. She was finally broken up in 1848. HMS Jason was a 38-gun Artois-class fifth rate frigate of the Royal Navy. 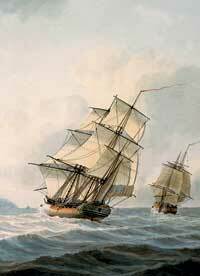 She served during the French Revolutionary Wars, but her career came to an end after just four years in service when she struck an uncharted rock off Brest and sank on 13 October 1798. She had already had an eventful career, and was involved in several engagements with French vessels. HMS Assistance was an Arctic discovery barque of the Royal Navy, and the sixth vessel to carry the name. 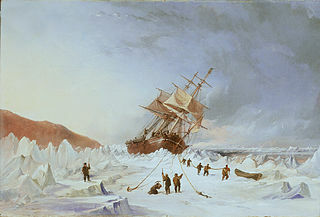 She began her life in 1835 as an Indian-built merchant vessel, was purchased in 1850 and participated in two Arctic expeditions before being abandoned in the ice in 1854. HMS Centurion was a 50-gun Salisbury-class fourth rate of the Royal Navy. She served during the American War of Independence, and during the French Revolutionary and Napoleonic Wars. HMS Royal Albert was a 121 gun three-decker ship of the Royal Navy launched in 1854 at Woolwich Dockyard. She had originally been designed as a sailing ship but was converted to screw propulsion while still under construction.